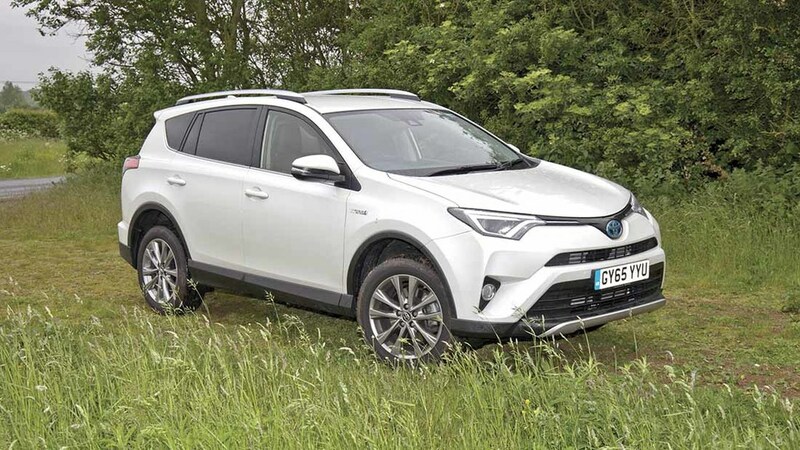 Toyota’s Hybrid Rav4 may posses a raft of eco-friendly features with its electronic all-wheel drive, but does it all take away from the enjoyment of driving? Geoff Ashcroft reports. Toyota's Rav4 SUV is now available with a hybrid powertrain. Toyota has a strong history of hybrid vehicle production, rolling out more and more tech off the back of its Prius. And now it is the turn of the firm’s Rav4 SUV to get the hybrid treatment. We can see the appeal of bringing low running costs to SUVs, but does it really work? This version gets a new two-litre D4-D diesel engine plus two and 2.5-litre petrol engines. And the hybrid part is available with either front- or all-wheel drive. A mild facelift is combined with an interior refresh and some trim changes for this fourth-generation Rav4. Our test model was the 2.5-litre petrol, which works alongside a 650 volt electric motor to give a combined system output of 195hp, with a peak 150hp coming from the petrol unit. It has the potential to reward the patient driver with some good economy, though its 55.5mpg on the combined cycle could be easily matched by more rewarding diesel-only power. Under the skin of the Rav4 hybrid is a clever system which lets you choose full electric-only mode at speeds under 30mph. Prod the throttle and the petrol engine bursts harshly into life. 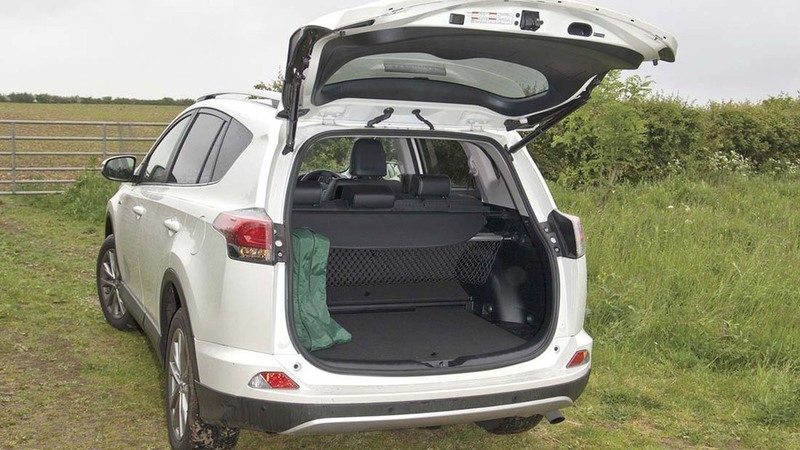 Load space is slightly reduced from the need to store the under-floor batteries for the hybrid system. The electric motor works constantly, with the petrol engine stopping and starting at any vehicle speed to maintain the best blend of performance and efficiency. It takes into account many different operating factors, including driver inputs and speed, to make powertrain choices. Lifting off the throttle affords a useful battery regeneration process through the vehicle braking system. With a bit of forward planning, you could prolong the service life of the brakes simply by harnessing regenerative power to slow the car. A continuously variable transmission does its best to seamlessly integrate engine power with electric motor power, but the downside is it spends a lot of time screaming away at high revs, which soon becomes tiring. Those watching you pass by will think you have lost the ability to simultaneously control the clutch and throttle. You can use a manual mode for fixed gear shift points but it does negate the purpose of choosing the hybrid. Improvements to cabin storage and interior quality can be found on the latest Rav4. It does ride reasonably well, but you can feel the car’s added weight, which comes from the electric motor and battery paraphernalia secreted into the car’s body. This also eats into boot space. 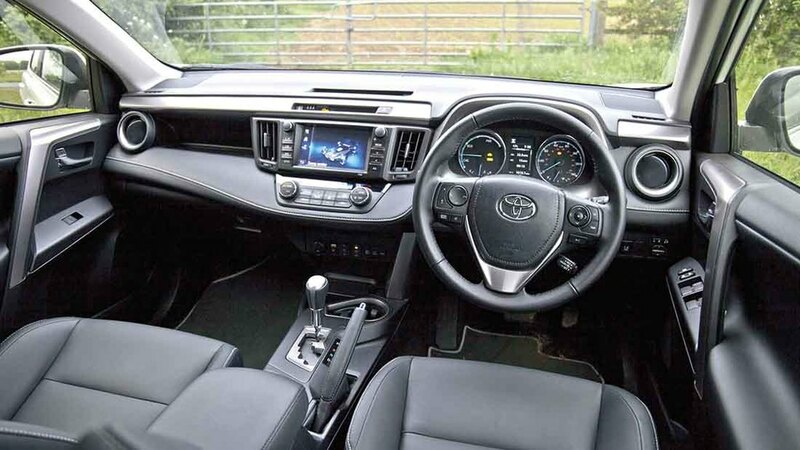 Toyota has made small improvements to cabin storage and efforts have been made to boost the interior quality with new materials on the armrest and door trim. But there are still lots of hard, moulded plastics, and where surfaces are padded, they do feel thinly covered. Spec levels of this Excel trim level are good and you do get a five-year/100,000 mile pan-European warranty. Service intervals are every 10,000 miles too, but for all its cleverness, the Rav4 hybrid is missing one key ingredient – fun.